Ships today if you order in the next 12 hours 48 minutes. Auto Ship & Earn + 159 Points What's this? 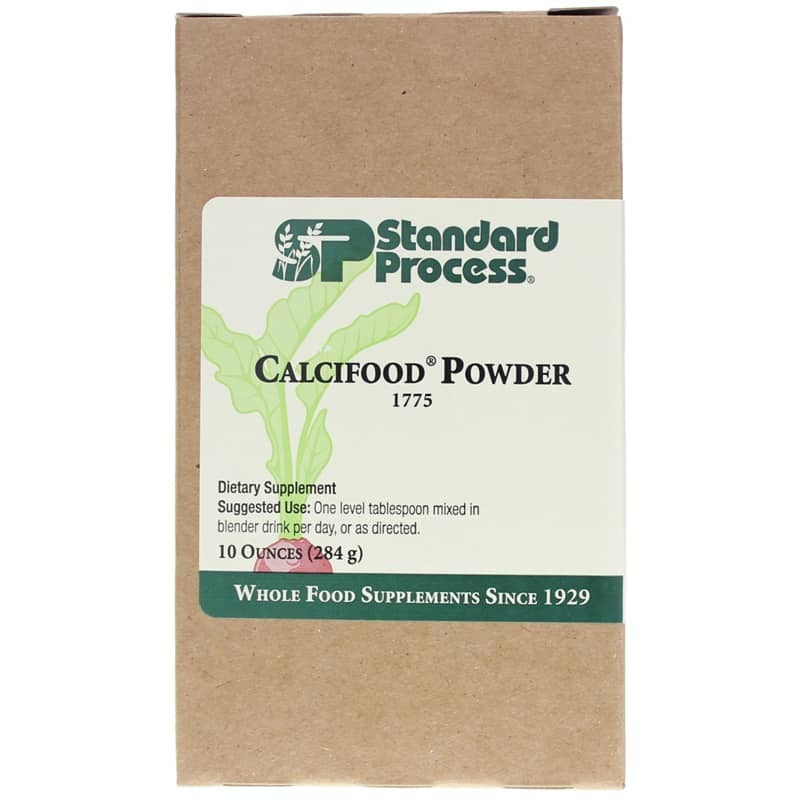 Calcifood Powder by Standard Process is a natural supplement that supports calcium absorption. Other Ingredients: Bovine bone meal and veal bone. 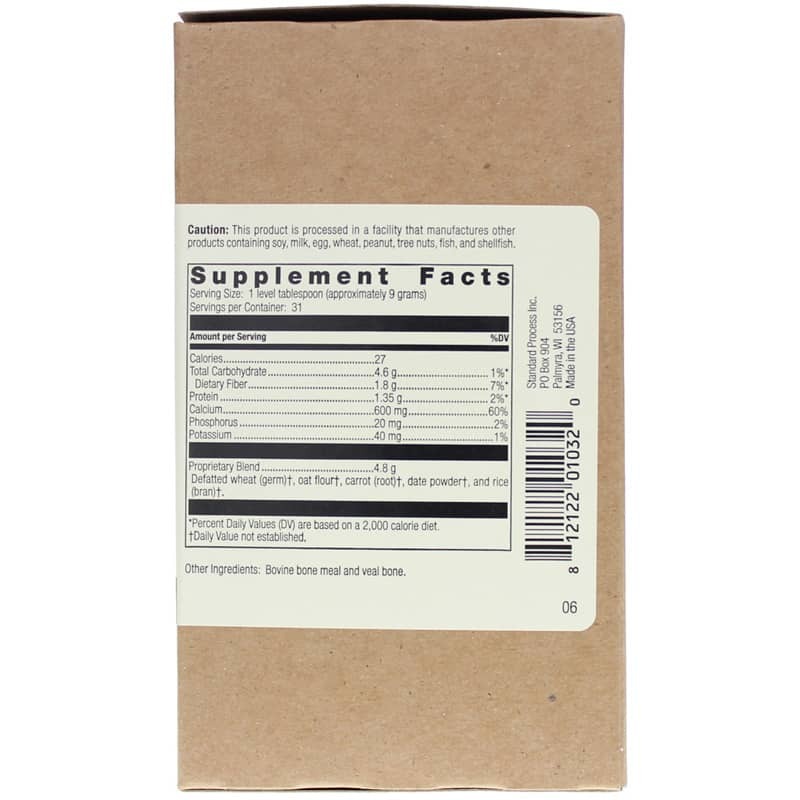 Adults: One level tablespoon mixed in blender drink per day, or as directed. It messes with my sinuses. I don't believe that the dairy in it was just due to cross contamination. Dairy is one of the ingredients which wasnt disclosed. I even asked my family members to try it and they all said that it tasted like milk. I'm noticing a real benefit from Calcifood Powder. My osteoarthritis knee pain is reduced a lot. The relief is only temporary but I've only been taking it 3 weeks. I'd been told to expect 6 months before greater benefits. Tastes better than the calcifood wafers too, I think.